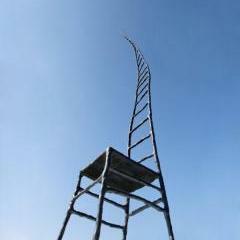 On invitation of Amnesty International, and in honor of the Chinese Nobel Peace Prize winner Liu Xiaobo, Maarten Baas has designed The Empty Chair. Amnesty International invited Maarten Baas to design a piece to support their campaign against the increased suppression of writers, journalists, artists and activists. "Soft Touch" shell	produced via a process of rotomoulding in polyester with flexible internal mass in polyurethane. Mass dyed, in white or black. - With gloss lacquer finish, in white or black. - Base in steel varnished in black or white. 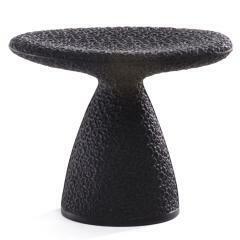 A single upholstery in silvered or black fabric is available. 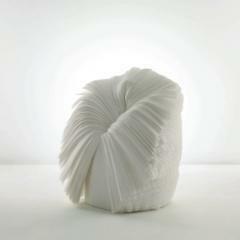 Materiality, an exhibition showcasing the industrial design of Benjamin Hubert, opens in Berlin on the 3rd of June 2011. The inaugural solo exhibition aims to expose the working process of the burgeoning design studio in addition to the finished articles. The Cube by Electrolux is a unique temporary dining concept that opened its doors for the first time on April 1st. 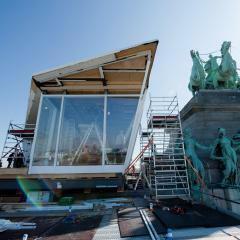 The Electrolux “Cube” will pop up on a series of landmark sites across Europe over the course of 2011, starting with a placement on top of the Parc du Cinquantenaire in Brussels, Belgium. 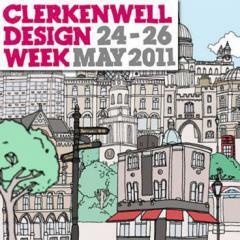 Clerkenwell Design Week returns with this year following its hugely successful 2010 inauguration, sponsored by Jaguar. The three-day festival takes place from 24 to 26 May 2011 and brings together a varied and vibrant programme of events spanning debates, discussions, presentations, exhibitions, installations, street parties and workshops all in the name of celebrating and embracing design. 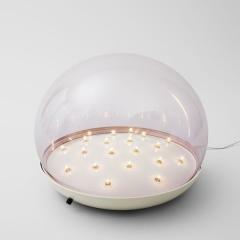 From 20th May to 23rd July 2011, Galerie BSL will exhibit part of its outstanding collection of vintage Italian lights with a selection conceived around the maestro Gino Sarfatti. 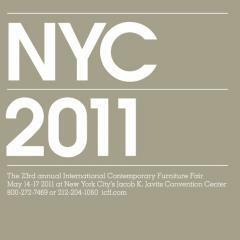 The much-anticipated 2011 ICFF Editors Awards were bestowed in 16 categories. The ICFF Editors Awards Ceremony took place during the 23rd annual International Contemporary Furniture Fair [ICFF] at the ICFF Exhibitors Reception at New York City's Jacob K. Javits Convention Center. 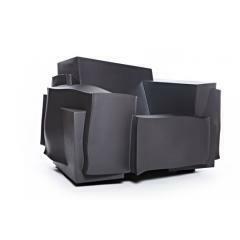 In recent fine art auctions we have finally seen an improvement over the stagnant sales earlier in the year; on May 25th Phillips de Pury have put together an auction that will hopefully do the same for the design market. This auction has a large selection of contemporary lots; moving away from the safer earlier 20th century works, this auction may spark the excitement lacking thus far in the design auction community. Material Table lays bare and presents a table of materials across a range of Adjaye Associates’ projects. In this extensive library, materials are divided and ordered according to their types, quality and property; texture, porous, hard and so on; all vital and mandatory considerations for the architect’s design method. 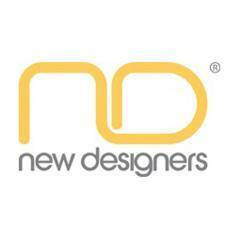 Save over 25% with the special price tickets for New Designers – showcasing the very best in graduate design. 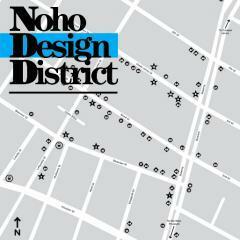 The Noho Design District is New York City’s newest design destination, produced and curated by Sight Unseen annually to coincide with the International Contemporary Furniture Fair (ICFF). The Grand-Hornu in Boussu, Belgium is presenting a solo exhibition by Pierre Charpin. 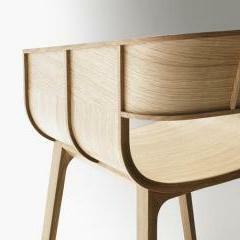 An artist by education, Charpin's devotion to the design of furniture and objects dates from the beginning of the 1990’s. 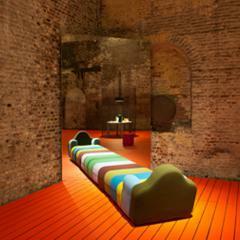 His research appears in the projects which he develops for the Design Gallery Milano and the Kreo Gallery in Paris. 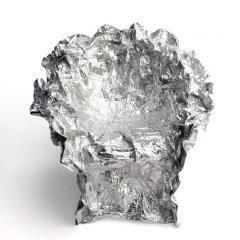 Armchair and footrest* with metal base, resin co-injected and moulded polyurethane seat. Fixed cover, in all the collection fabrics and leathers, different colours and fabric for the front and back of the seat available. 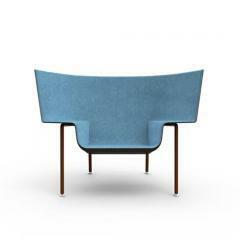 The armchair version with footrest and back seat in leather along with front seat in fabric is available, as well.